Finally we have access to one of the best selling drugstore foundations in Ghana and this is none other than the Maybelline Superstay 24H Foundation. Yayyyyy!!!!! 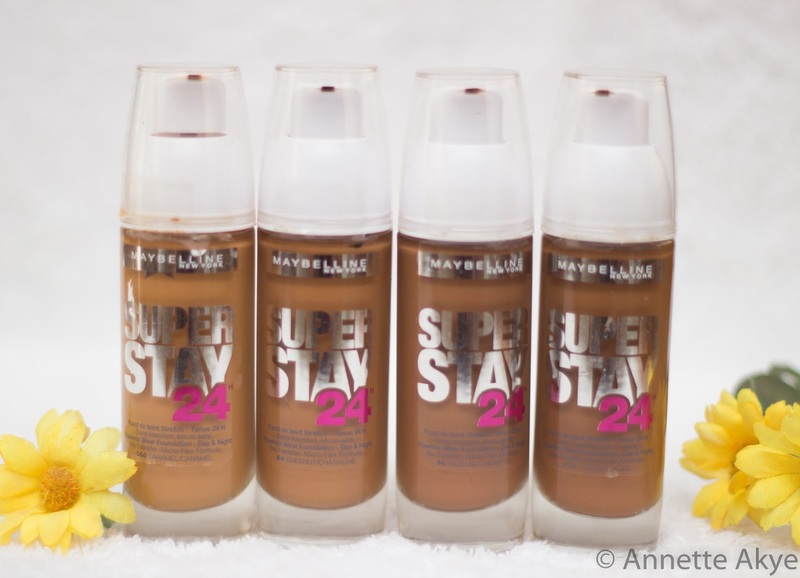 I remember seeing this foundation on shelves in Superdrug in the UK but the shade range didnt include that for dark skin. Fast forward to today, there are several shades suitable for dark skin in Ghana. How exciting!